Tourism in Central Spain: enjoy Burgos and its surroundings staying in an accommodation with a twist. An old manor from the 17th century has been completely renovated as well as its annexes and ‘el torrejon’, a medieval tower located in the Route of the Fortified Turrets. 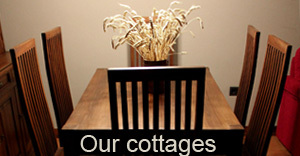 All these form a group of seven self catering holiday cottages, sleeping 4, 5 or 7 people and each can be rented for holidays and weekends. We offer you the chance to spend your holidays with your friends Whilst preserving your privacy. The renting of some or all of the cottages (accommodating up to 34 people) is perfect for meetings, special events and celebrations, being it also possible to rent “The Tower” which has a kitchen, a dining room and plenty of room for group socializing. 12 Km. away from Saint Jacob’s Way, which crosses the county. 2 km. from Villadiego and 30 min. away from the capital, Burgos. 23 km. from Peña Amaya, an old Cantabrian Iron Age settlement. 40 km, from Sedano and the River Ebro Canyons. 30 km away from the Channel of Castille. 50 min. from Palencia and a bit longer than an hour from Valladolid, the coast of Cantabria and ‘la Rioja’. Any of these excursions can be made in a day. 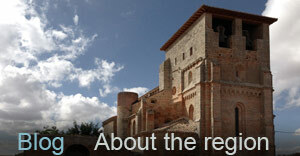 Tourism in Burgos and Castilla León: plenty of culture, landscapes and gastronomy. In this post, we will focus on the great cultural Heritage in Castile Leon and we will propose some routes in Burgos, mixed with astonishing natural areas.